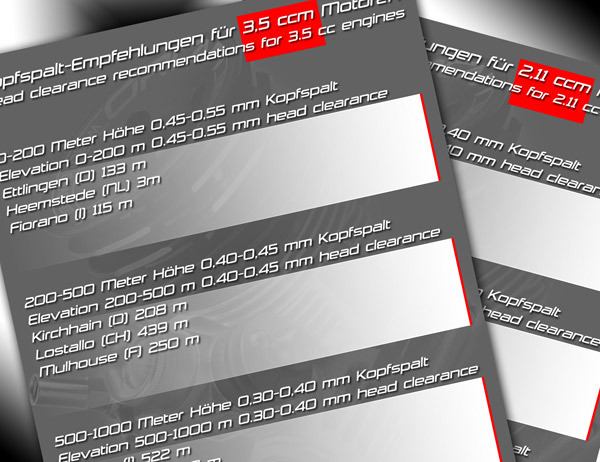 Right on time for the new season we are pleased to announce that our brand-new engine service booklet in German and English is now ready. 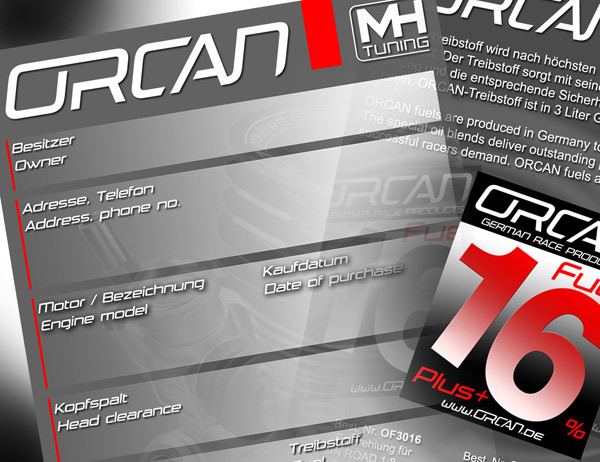 The booklet is included with all ORCAN engines delivered from January 2017 onwards. It is a great way to keep an accurate record of the running time of your engine and its component parts, the dates of when bearings and conrods were replaced, and much more. You will always know exactly when your engine is due for a service to maintain its top performance and reliability. We have also included data on the geographic elevation of different track locations, which you can add to with your own information for other race tracks. The elevation data is a simple way to ensure you set up the optimum head clearance on your 2.11 or 3.5 cc engine for perfect ignition timing to get the best performance. 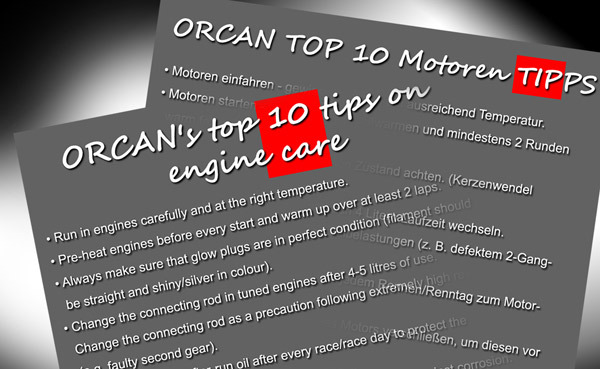 You will also find ORCAN´s top 10 tips on engine care, as well as plenty of space to make your own notes. 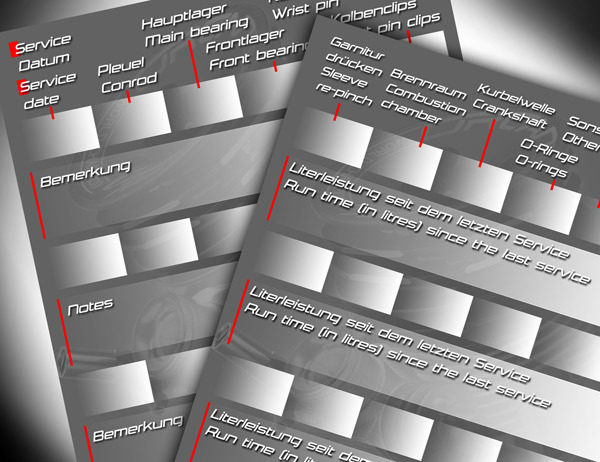 All owners of older ORCAN engines will receive a service booklet either automatically with the next service or via their dealer/distributor, to keep a record of all service-related information. 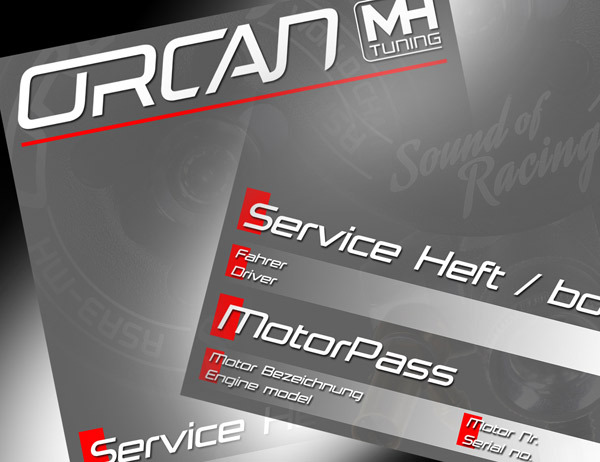 We have created the ORCAN service booklet to make sure you have all engine data at your fingertips and allow you to plan and carry out upcoming service inspections on time. Regular inspections performed at the necessary intervals ensure your engine retains its outstanding performance and are an effective way to help prevent damage. If you decide to purchase an ORCAN engine in the future, we wish you every success and hope you enjoy using a motor that has been developed by us with care and passion. To lengthen the lifespan of your ORCAN engine and keep it running smoothly, we recommend you keep the service booklet accurate and up to date so that both you and the SMI team can see the exact running times of each component and decide how extensive a service inspection is required.